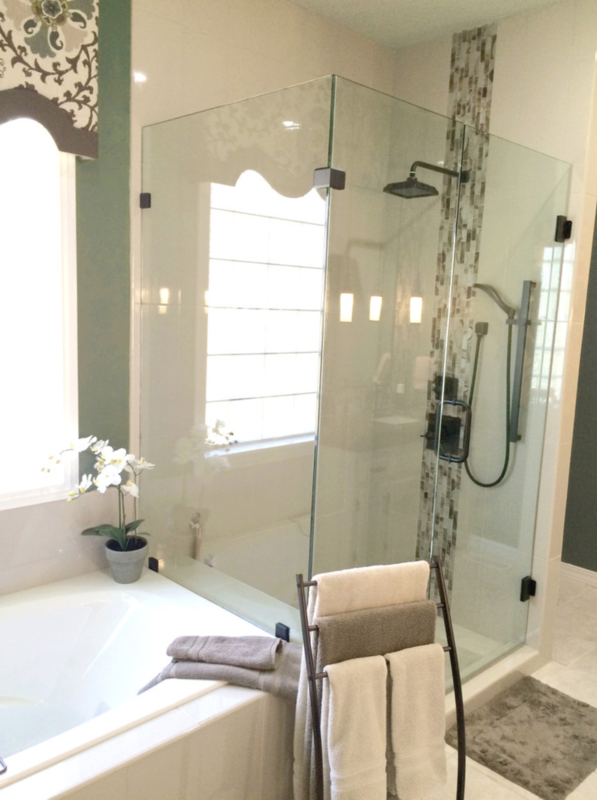 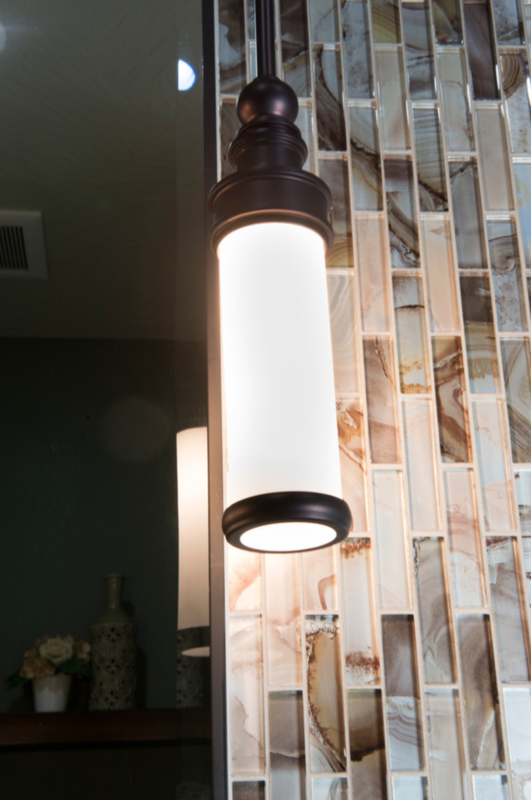 This master bathroom needed a clean, contemporary update. 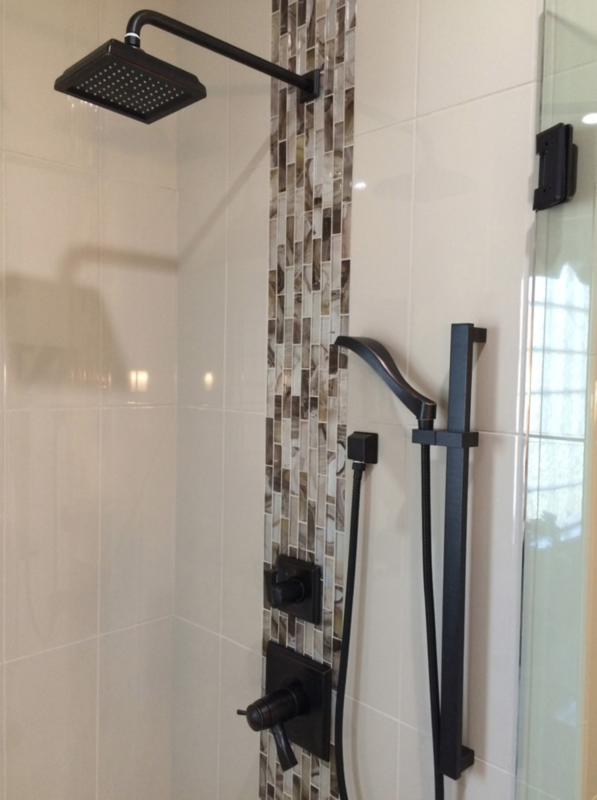 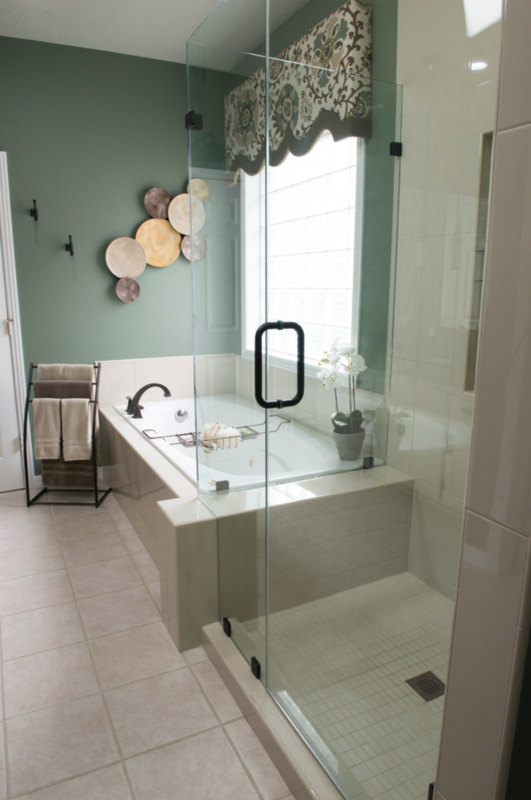 By taking out a wall and installing a frameless shower, as well as through the use of smooth, oblong tiles with color-matched grout, this bathroom feels more open and airy. 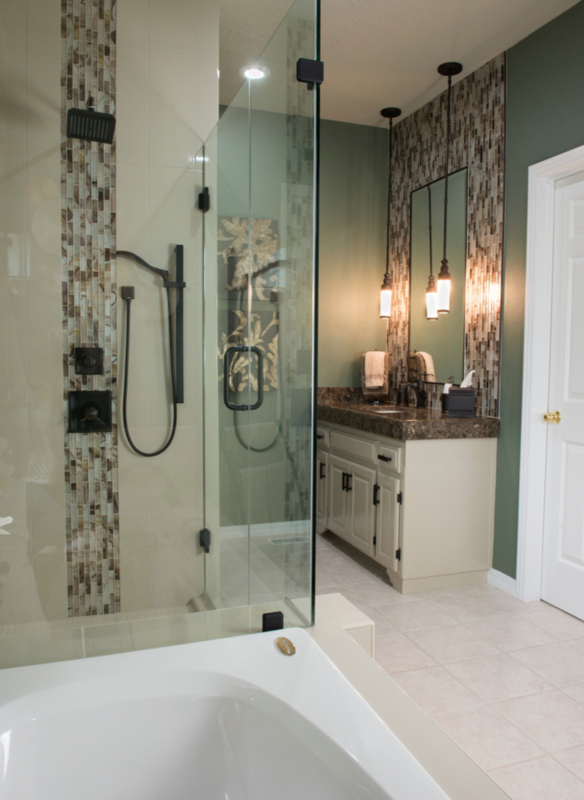 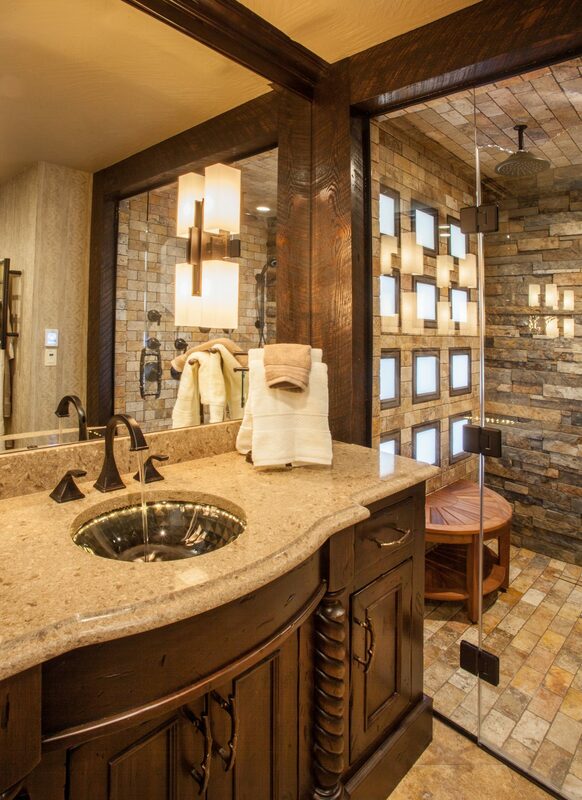 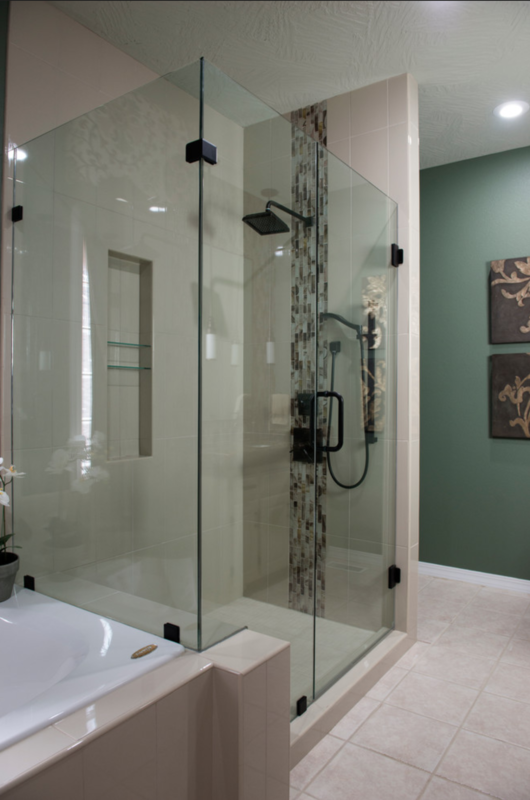 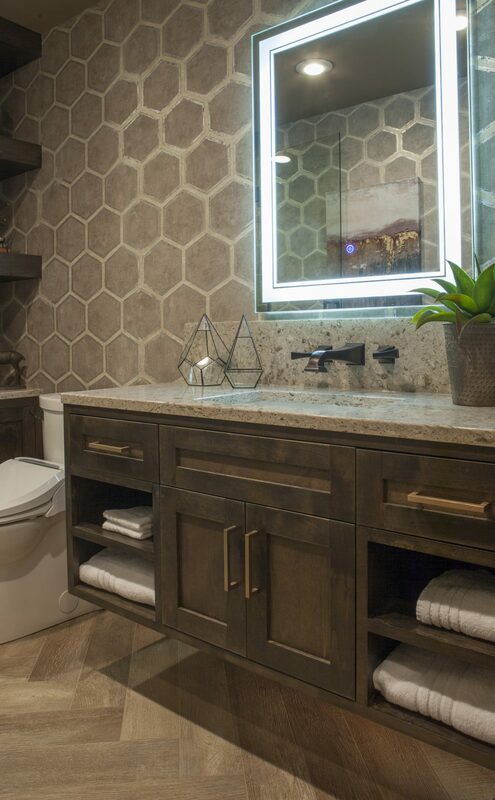 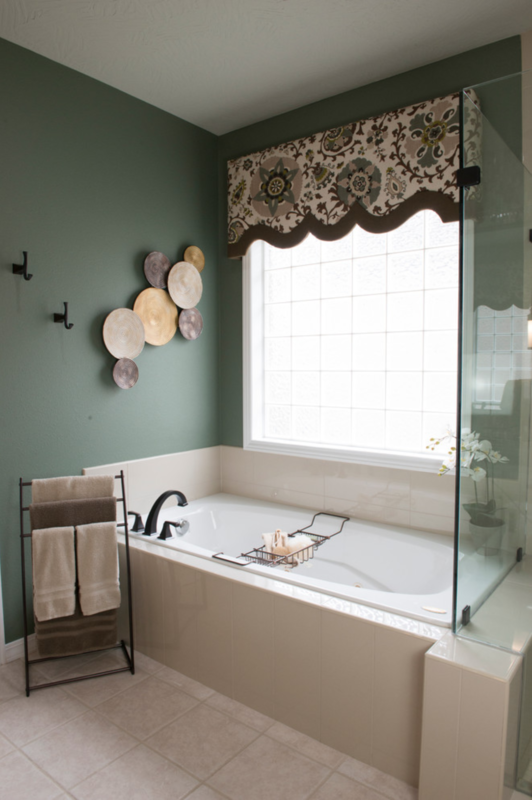 Glass tiles with metallic and earth-tones bring visual texture and a lot of “WOW!” factor behind the vanities. 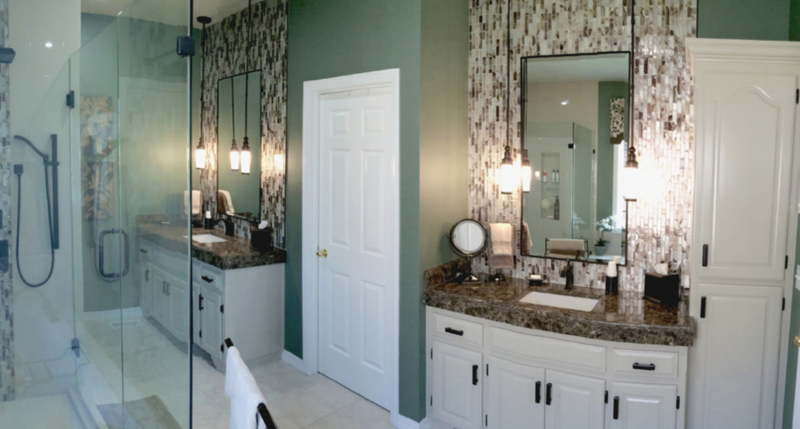 Pendant lighting is a flattering alternative to overhead lighting, and the light is maximized by the inset, metal-framed mirrors. 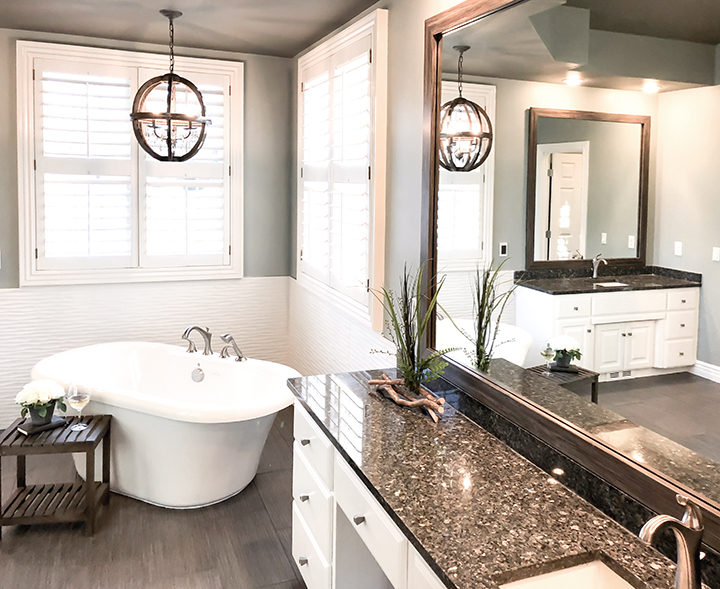 To keep costs down, the current cabinetry was painted a warm taupe (Sherwin Williams #7506 Loggia) and the existing floor tile received fresh white grout. 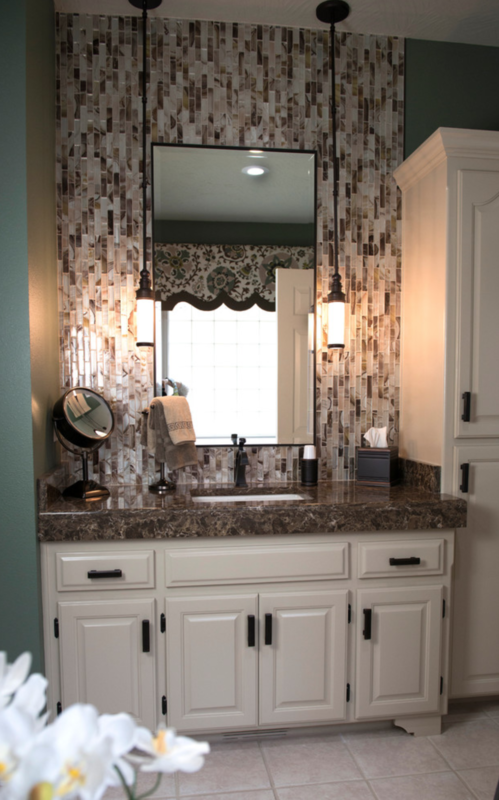 We raised the countertops to 36″ and added a 4″ apron with Cambria® Hampshire quartz. 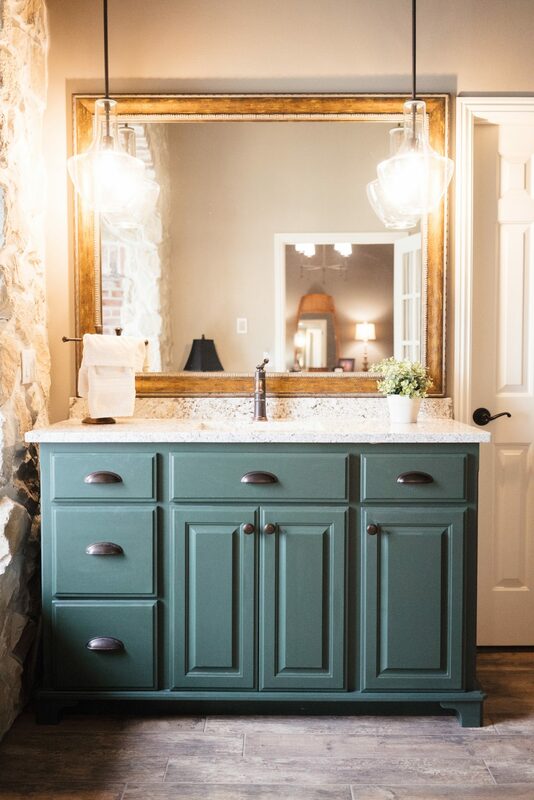 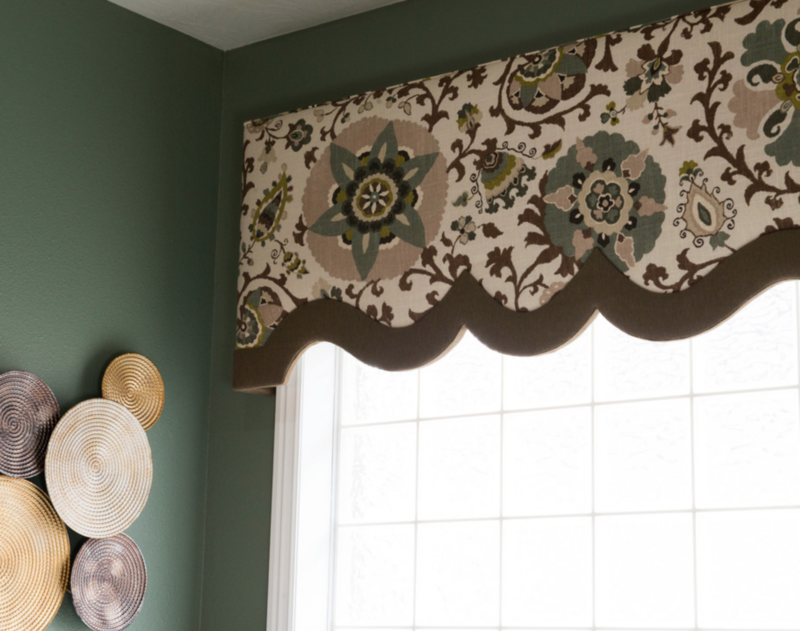 Soothing and serene green walls (Sherwin Williams #6186 Dried Thyme) and light green ceiling (Benjamin Moore #2141-50 Horizon Gray) round out this resort-like master bath.